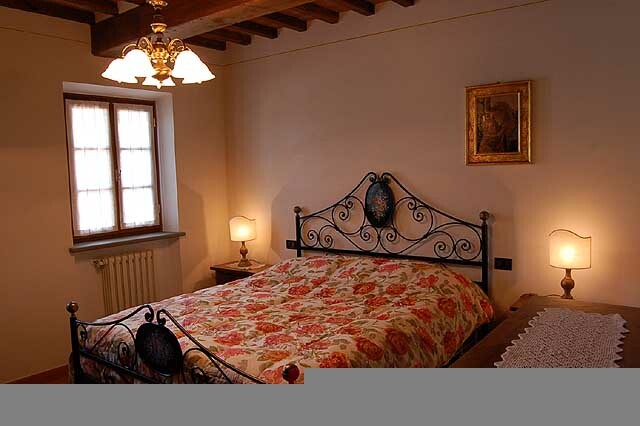 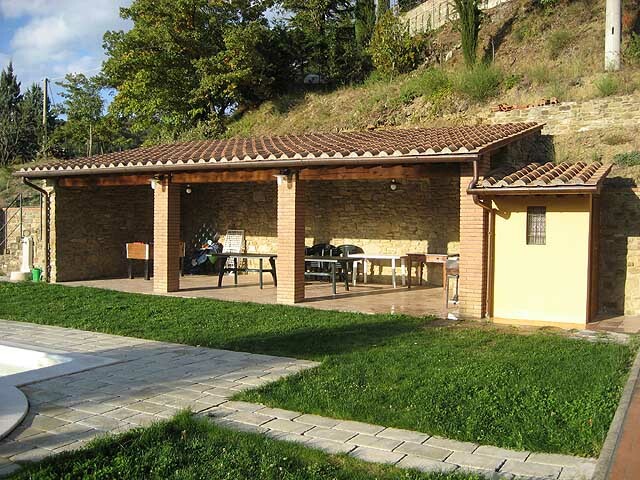 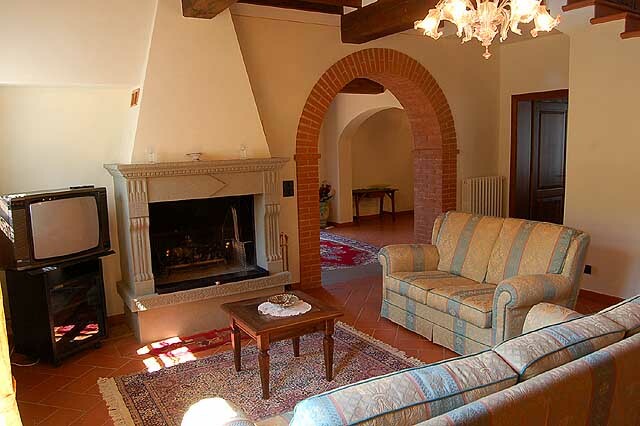 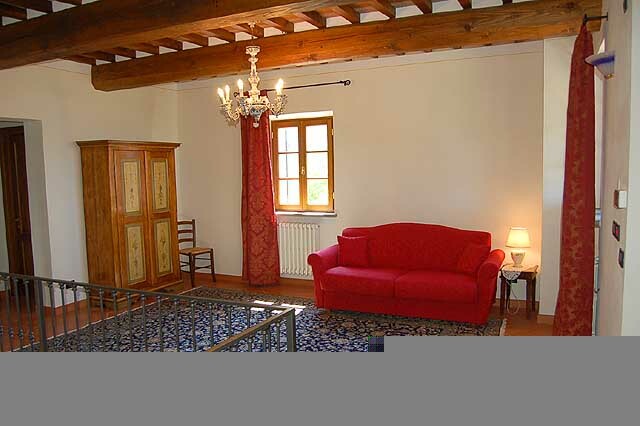 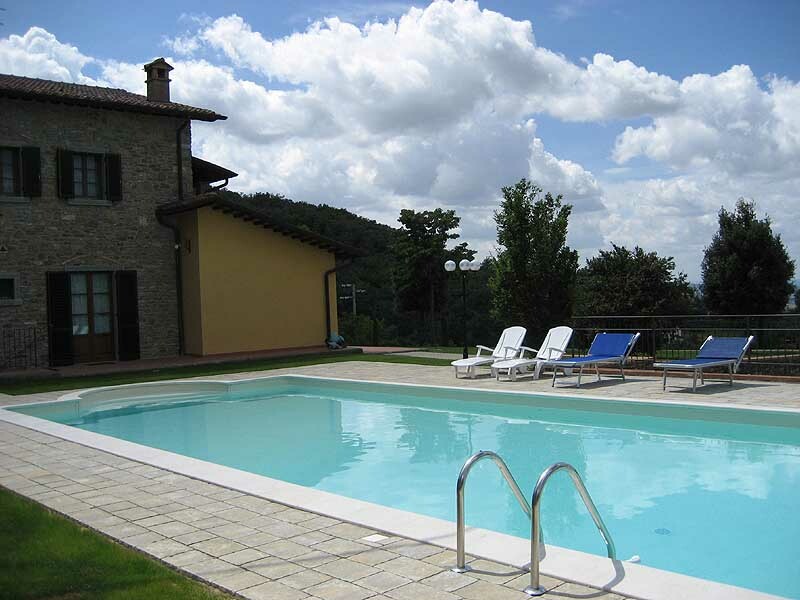 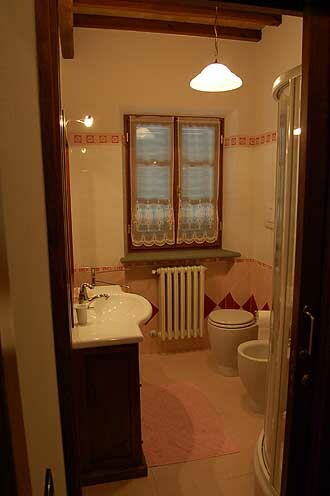 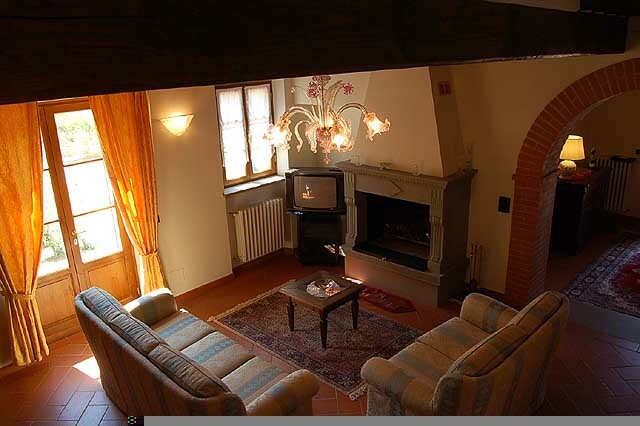 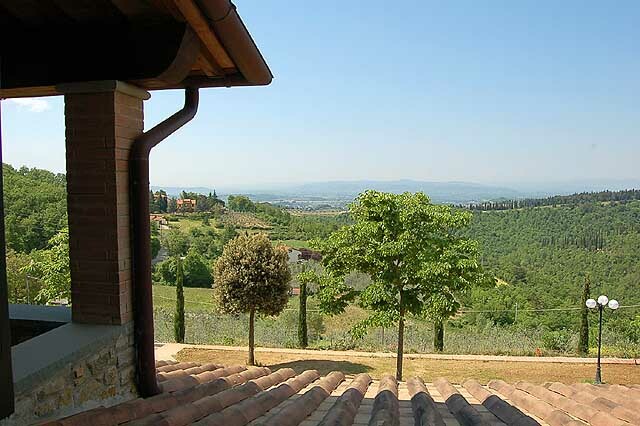 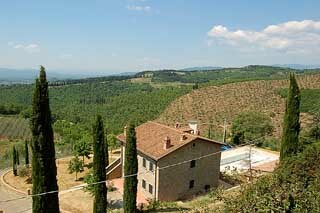 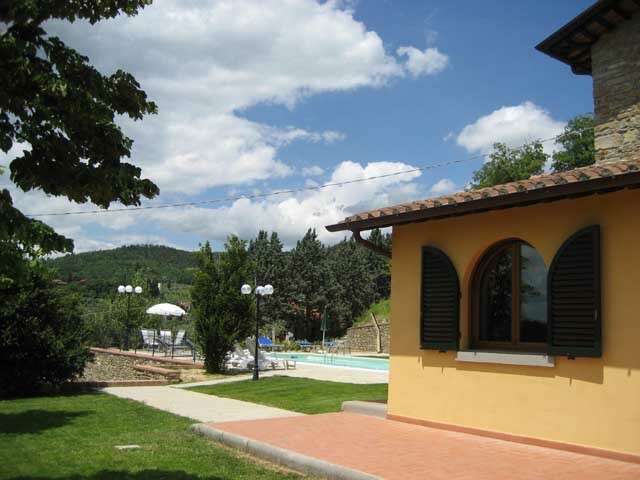 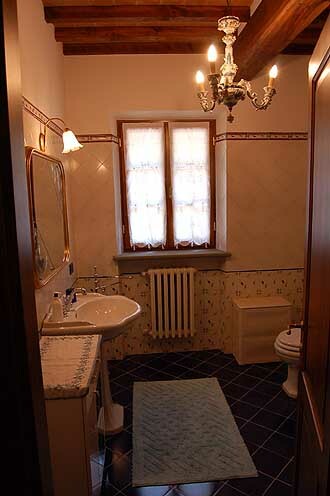 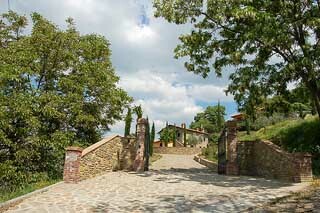 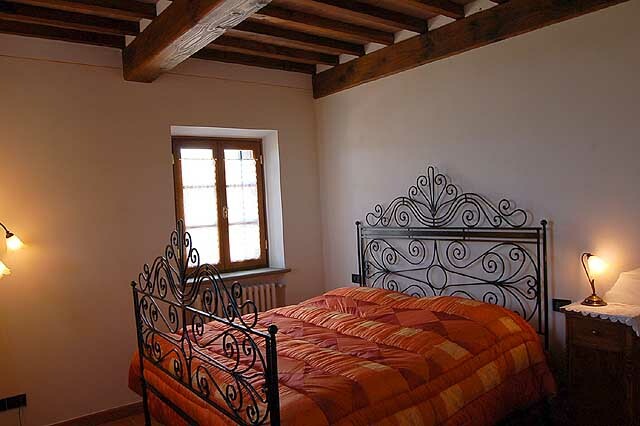 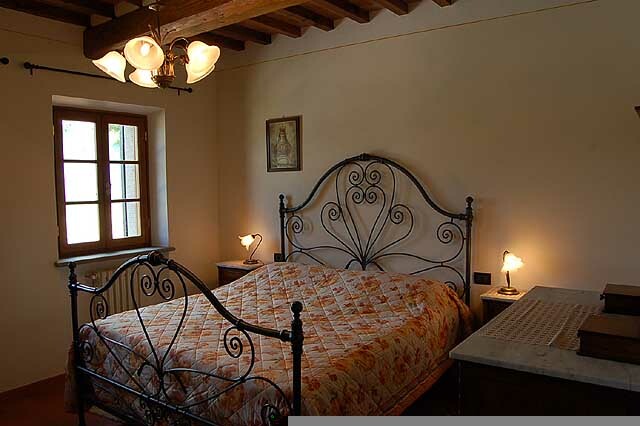 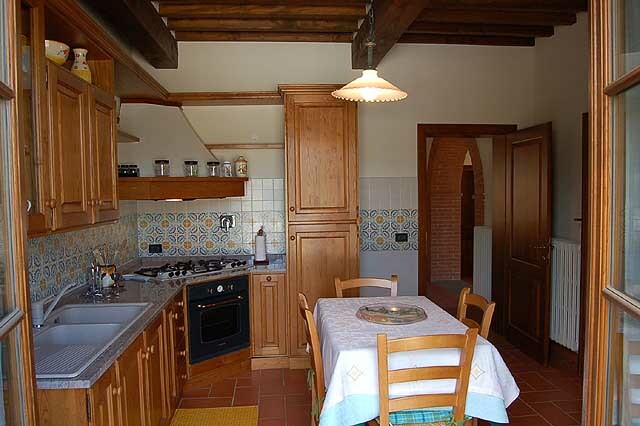 The villa is ideally positioned in the heart of the Tuscan hills (12 Kms from the city of Arezzo), at 400 meters above the sea level, in a very quiet place and a nice panoramic view. 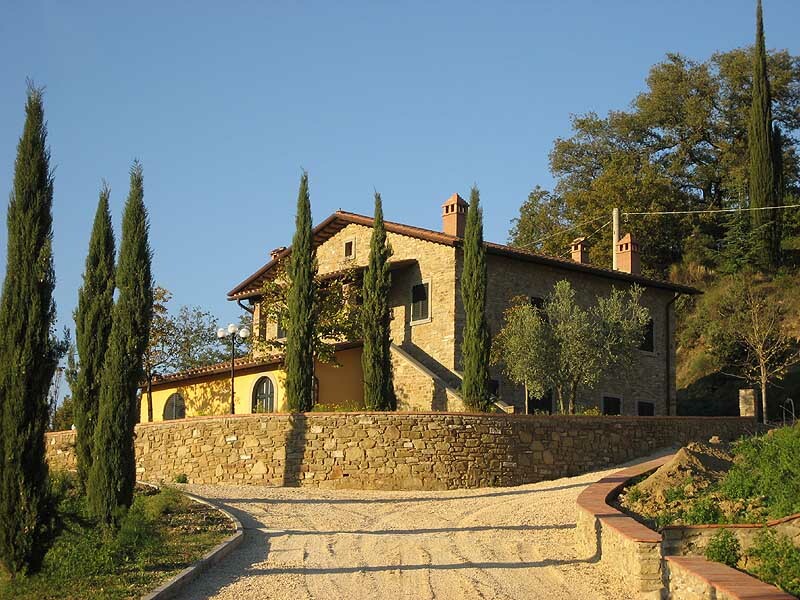 Ideally positioned to visit the most beautiful towns & villages of centre/southern Tuscany as Arezzo, Florence, Siena, Cortona, Montepulcino and many other. 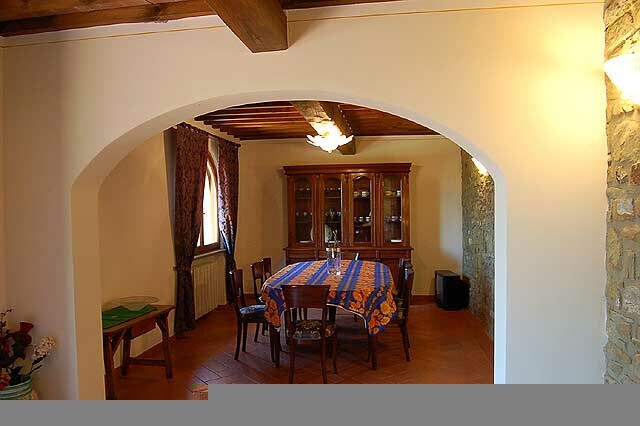 It is suitable for max 11 persons, there are 5 bedrooms (4 double, 1 twin) and there is a double sofa bed in the living room on the 1st floor. 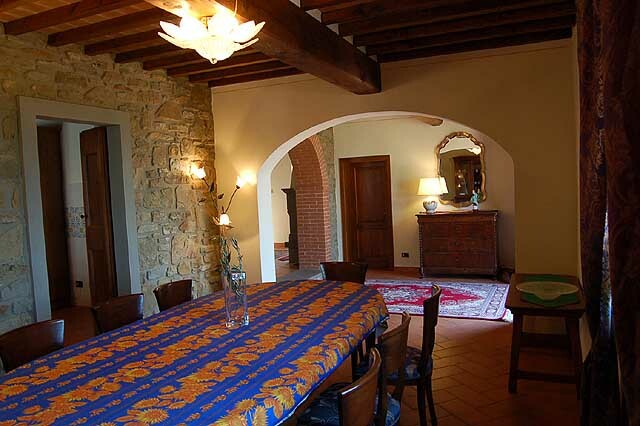 It is possible to eat all together in the dining room or if you prefer to eat outside there is a large porch in front of the pool from where you can enjoy the panoramic view on the surrounding hills and valleys. 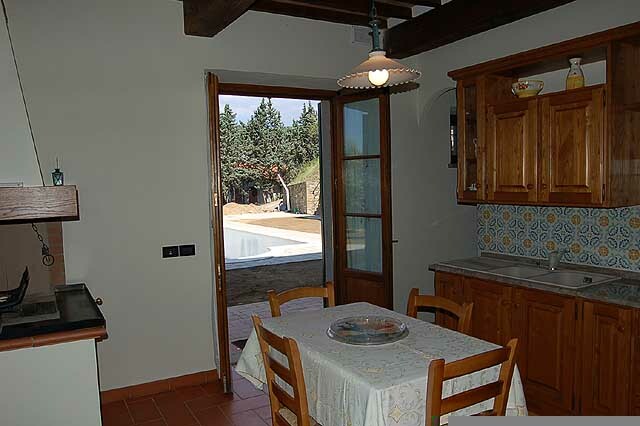 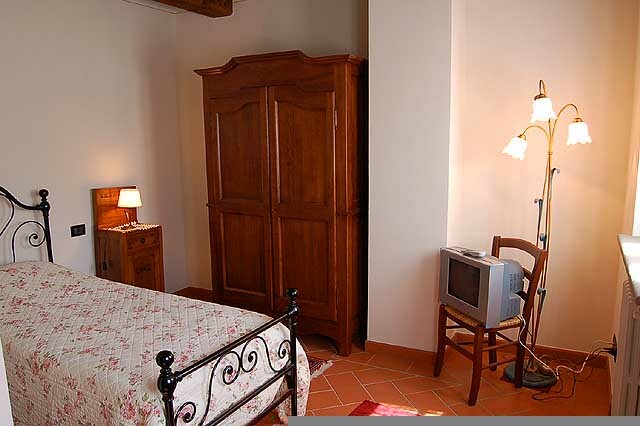 The villa has a 450 square meters private garden (full of olive trees, cypress, etc.) 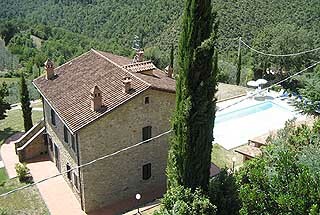 with private car park for up to 4 cars. 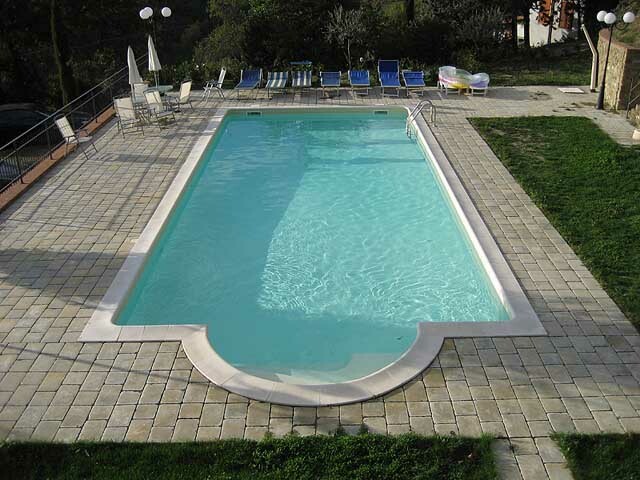 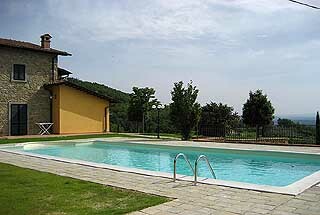 The swimming pool of 12.2 x 5.4 meters (with roman stairs) is for private use of the tenant. Small local shops are 5 kms far away, nearest supermarket at 10 Kms. 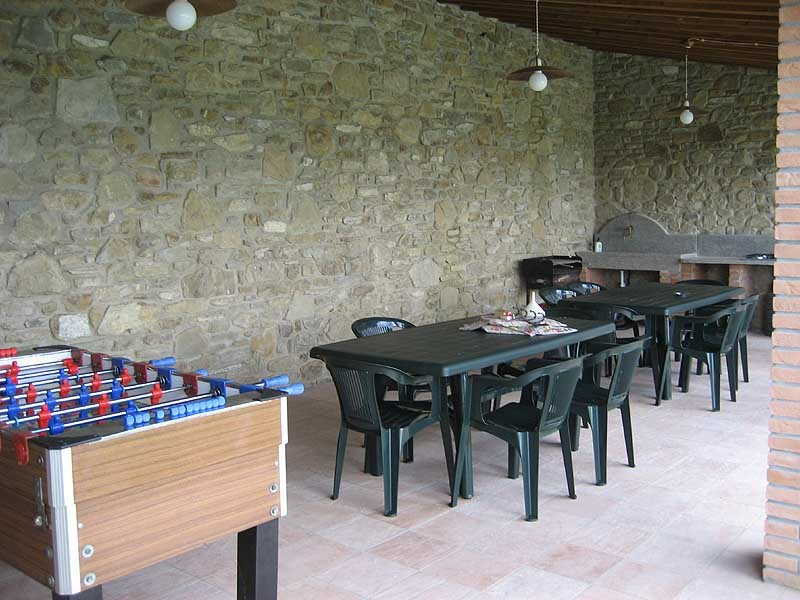 Restaurants around 6 kms from the villa. 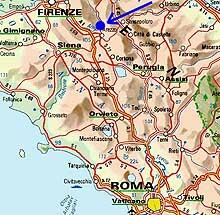 Nearest golf clubs: Casentino golf club (9 holes situated near Arezzo), Golf Club Valdichiana (9 holes situated near Foiana della Chiana), Golf Club Lamborghini (9 holes situated near Panicale), Golf Club Castelfalfi (18 hole, situated near Florence), Golf Club Antognolla (18 holes situated near Perugia), Circolo del Golf di Perugia (18 holes situated near Perugia).